So many ways to arrange the seats but only one wedding! The classic bride may prefer the traditional theater seating style. 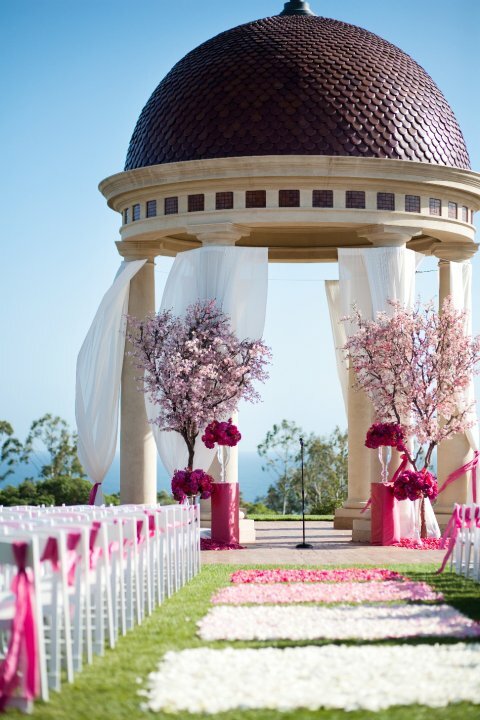 A modern bride might opt for a round seating arrangement (and not a bad seat in the house!). And the glamorous bride might strut her stuff down a runway-esque aisle complete with a small stage for the live music, naturally. 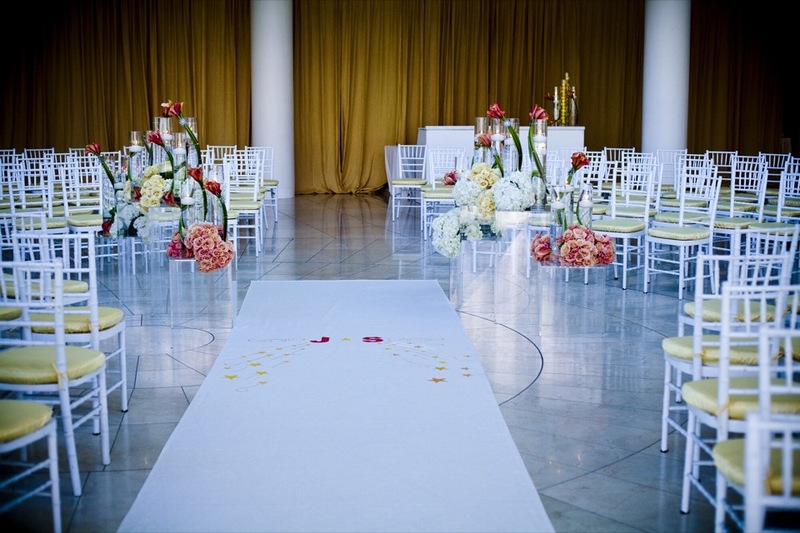 These pictures illustrate the many ways for your ceremony's seating arrangements. All equally gorgeous, you'll have a hard time deciding which way to go. You only get married once . . . though there are vow renewals - just sayin'! Images via Details, Details and FemTalks. the entrance design is simply amazing. What about cabaret style? 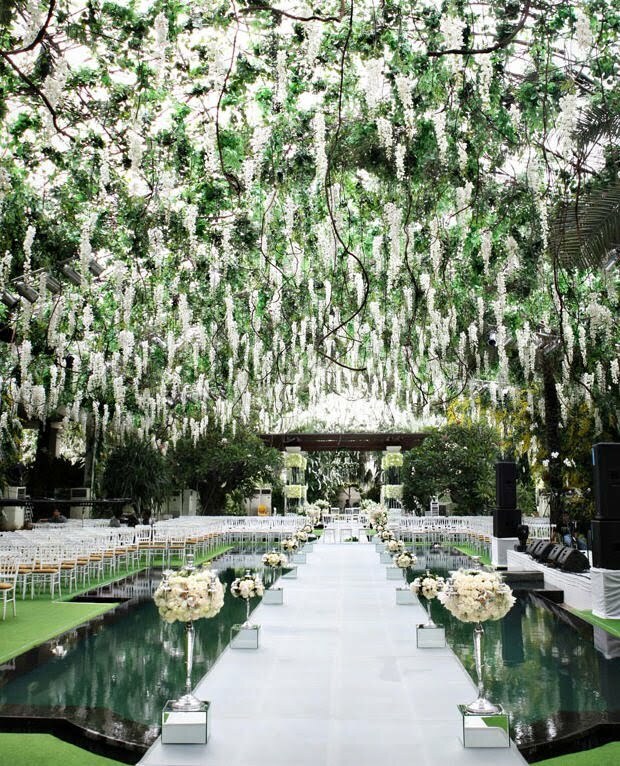 We are doing that to save space in our backyard wedding! Wow the last setting is amazing! The first is so classic and beautiful though. I am pretty much speechless looking at the first and last pictures. They are completely remarkable! WOW!! and you are totally right anyone can renew vows, and try to replicate one of these completely amazing seating arrangements! Happy Wednesday! That third image looks like something out of a dream. So beautiful. Lovely inspiration! Love the FERN settings -so FAIRY-TALE like. Love the FERN setting (last image). It's so Fairy-Tale like. Wow this is great information and amazing post.